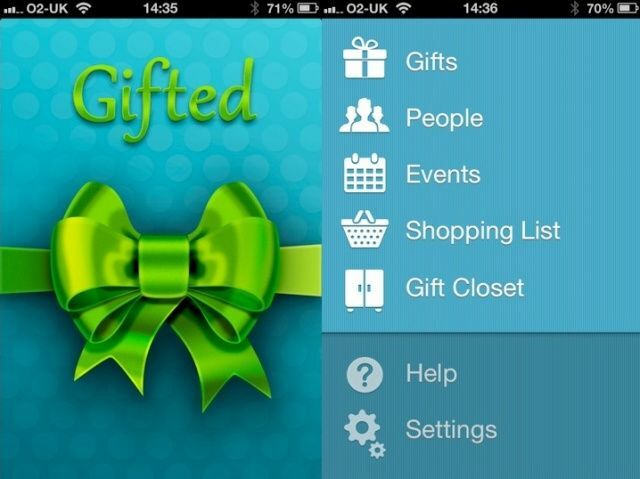 Gifted’s main menu is divided into Gifts, People, Events, a Shopping List, and something called the Gift Closet. It’s essentially a database for all your gift-giving activities. Everything from gathering ideas, checking what you’ve bought for whom in the past, remembering when to buy what, and how old everyone is. 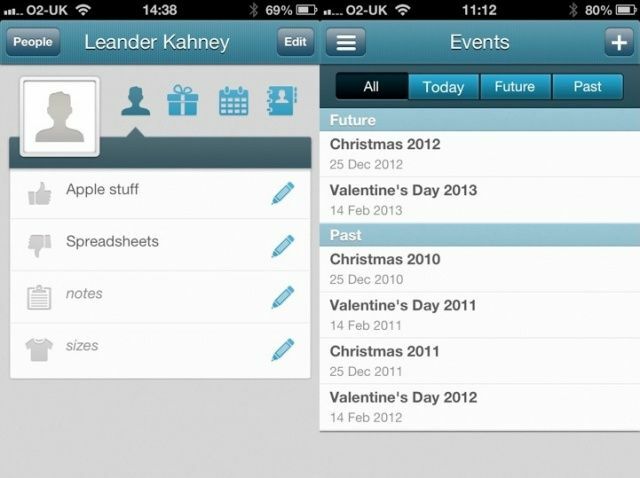 It tracks people, their ages, dates, gift ideas, the works. And it’s all sensibly linked together. You can work the way that suits you best. You might like to start with people (you can pull them in from Facebook, or from your device’s Contacts, or add them manually) and come up with different gift ideas for each one. Or perhaps you might prefer to work by event. As Christmas approaches, you could add the names of all the people who you need to get gifts for, and work through them one-by-one. Or another way, by gift idea. As you’re browsing around the mall looking for ideas, you can save them (complete with a photo, price, name of store, specific event, and a link to the person you think might like it most) directly into the Gifts section. There are some clever touches. Having set up a gift, you might think it suits more than one person. So you can copy it with one tap. This creates an identical copy in the gifts list, but without an assigned person. Once you go into that copy, you can assign it to someone with a couple more taps. Useful. Gifted does what it claims to, there’s no doubt about that. If you are someone who thrives on being organized (to the point of military precision), I can see the appeal. But it’s not for me, for just one reason: because it feels like work. When I’m buying gifts, I like to make it an enjoyable experience. I like to think about my loved ones, about the things they like, and let my imagination wander a little. My feet, too. I like to see what unusual gift shops I can find, what weird ideas I can get by following my nose a little. What I don’t want is the feeling that buying gifts is like filling in a form. And that’s the feeling I get using this app. So while it’s not for me, it does do its job well. It might be for you.